Lenovo K3 Note is available at Rs.9900 in Flipkart. To avail the offer, click on the offer Page - here. Storage capacity is 16GB. Colors Available in Flipkart - Black, White and Yellow. Lenovo K3 Note Music is available at Rs.11,200 in Flipkart. You can buy from here. Currently normal Lenovo K3 Note is not available in Amazon. but Lenovo K3 Note Music is available. Lenovo K3 Note Music 16GB Black 4G in Amazon in the below link. Price is Rs.10,700. Currently normal Lenovo K3 Note is not available in Snapdeal. but Lenovo K3 Note Music is available. Lenovo K3 Note Music 16GB Black 4G in Snapdeal here. Price is Rs.11,800. Not available currently. 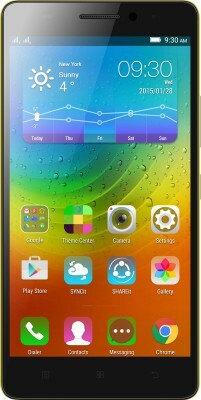 Link to check - http://www.shopclues.com/lenovo-k3-note-25.html. Lenovo K3 Note is currently available in eBay. Price starts from Rs.10,985. You can check the availability from different vendors with price here. Link to check - https://paytm.com/shop/p/lenovo-k3-note-black-MOBLENOVO-K3-NODEAL36165C0CB7824.